This belt is 34mm (1⅜″). The strap is of Indian leather with a durable shiny semi patent surface. 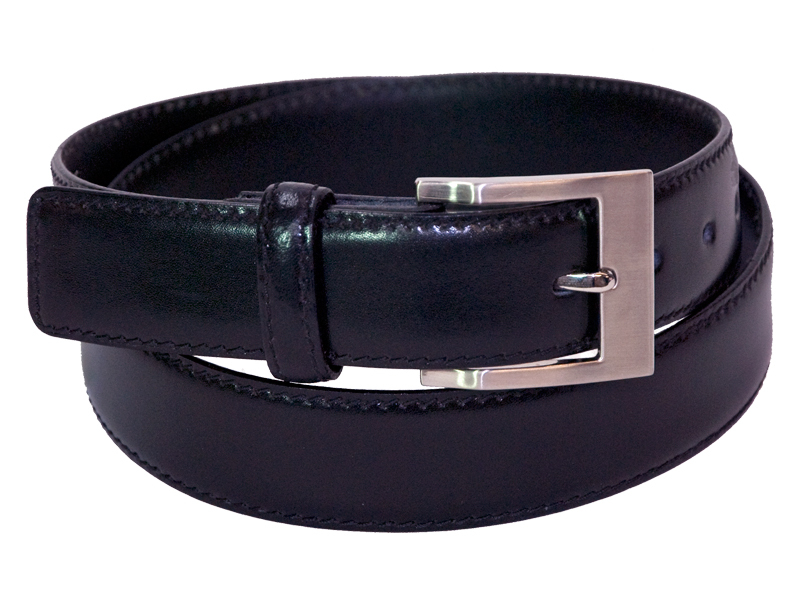 Its classic clean lines makes an ideal casual or formal wear belt that suits all occasions. It has a square brushed nickel buckle and leather keeper. Please choose from the options below to suit your size.